Looking for the finest experiences your Rift has to offer, tickboxes be damned? Check out the best VR games around. 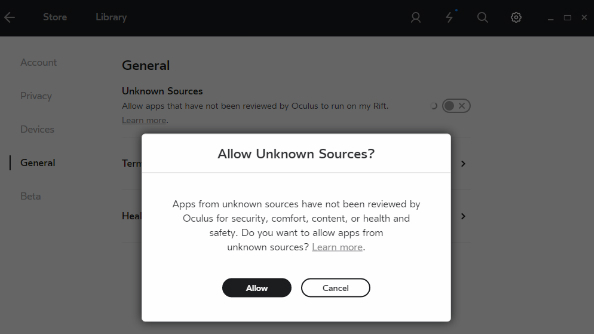 “The Oculus platform and store are designed to provide the best VR experience and content, but we also recognize that people will want to use apps that aren’t available on the Oculus platform or in the store. That all sounds reasonable – but it’s worth pointing out that it in order to let in apps not supported by the store, users will need to open the desktop app and explicitly allow them. By default, it appears, apps coming from outside the store aren’t allowed. It’s a bizarre situation – Oculus proudly announcing that they’re an open platform, while simultaneously taking flak for accusations to the contrary. The impact of their store’s inner workings will only become clear over time, but it’s clear that at least one major studio feels alienated by it. 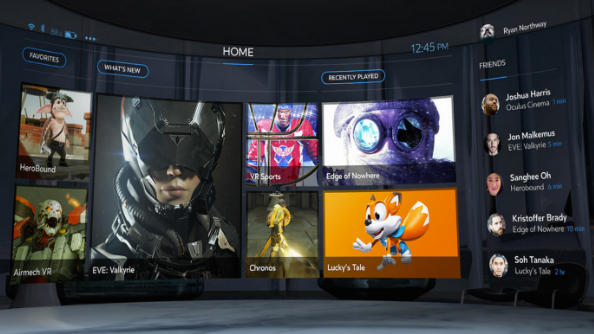 Is Oculus an open platform or not? Have your say in the comments below.